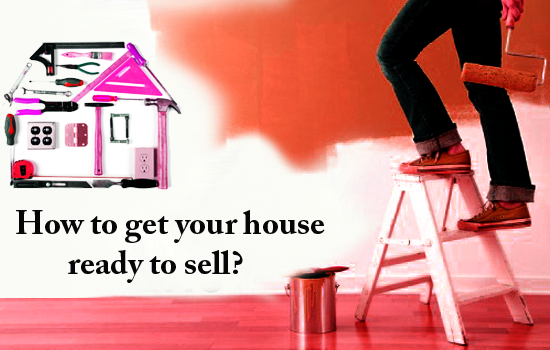 Home» Fast Offer Now » How to get your house ready to sell? Before you prepare to sell your house this year be ready with a checklist of things to be ticked off. This checklist of things is nothing but actions to be taken to make your house sell worthy. Selling a house is very similar to plucking a fruit. You need to pluck it only when it’s time to do so. Plucking it earlier will only leave a bad taste in the mouth. Similarly you need to ensure that you take in time and precautions to make your house ready to sell. When do I know my house is ready to sell? Your house will start giving you signals, these may be signs of damage, like leaking ceilings, or depleting walls. There could also be a rat menace in your house that you want to get rid of from long. These may be signs indicating its time you found yourself a new home. In situational driven factors you might have to sell of a house because of the death of loved one or a recently declared divorced. A job transfer could also contribute to the same. A financial driven factor is the one where you no longer can afford to maintain a place like this or you are in need of quick money and liquidating your house is the only option left. During such circumstances you know that its time you sell your home for good. How to get your house ready sell? It is very important for you to know the right steps to be taken to prepare your house for a sale. We will take you through a few most important steps to be taken to sell a house. •	Prepare yourself before you prepare the house. One needs to understand that real estate works differently in every market. House selling in Yorkshire is absolutely different from selling a house in Alabama. You need to understand the market trends and study it thoroughly to gain sound knowledge of the same. By equipping yourself with knowledge you will be able to set right expectations from your house. This will also help largely in setting the right price for your property. Study your neighbourhood and enquire about the rate trends followed. You could take that as a lead and set your prices accordingly. •	Get your house inspected. Use the help of professionals to get your house inspected. By doing so you will be able to understand the flaws and areas that require attention. First step to any solution is to check the problem areas. •	Make your house look appealing. If you are living in a house that looks dead and pale you could use some measures to make it look appealing. There could be many hacks to make your house appear more appealing. Here mentioned are a few hacks that could bring back life into your old, dull looking home. •	Add colour to the house. You could use the help of some really vivid and young colours to change the appearance of your house. A Fresh coat of paint can make your house look newer then before. You can hire a professional to do that for you or you can do it for yourself. •	Remove or replace furniture. You could always remove the old furniture or simply replace it with new one. Furniture speaks volumes about a house. So if you are looking to sell your house quickly at a good price. You need to work on the furniture. •	Make your house look bigger than actual. You could use many space widening techniques and illusions that will make your house look bigger than it actually is. Usage of light colours like whites and pinks on the wall will make the property look bigger and brighter. •	Mind the smaller repairs. You need to fix the minor repairs before they start to hinder as a major problem. For example the hinges of a window is broken you need to fix them before the window breaks. These small repairs will save you the cost of big ones. You could always use creative side and deck up your front patio or your garage. You can also deck up your terrace and make it look more welcoming. Re-decorating your house could actually turn into a fun task to all art lovers. You can also play around with a few artefacts and painting that would make your house look better in terms or appeal and creativity. People today are moving towards eco-friendly home spaces. By providing people with a few provisions such as a kitchen garden, it will add value to your offerings. You can also redo your garage space and make it look updated. Good lighting hacks can make your house look a million dollar worth. Invest in some good lighting in the house that invites warmth and wellness. Dull lighting directly reflects the mood of a person and hence puts them off. Your house might look all well done but no one would want to live in a shabby neighbourhood. Take an initiative to clean up your neighbourhood. Plant small saplings and have a litter bin at regular intervals. These small steps will help you make your house sell worthy and also fetch you a fair deal. Aforementioned is an exhaustive list of things that you need to check off your list before trying to sell your house by incorporating these changes your house will be ready to sell. You can use a combination of all the measure or even one, this is left to your discretion. You need to remove the clutter of your old belonging from the home and give it a fresh look and feel in order to attract buyers. This works in favour of every person trying to make their house sell worthy.